A Youngstown State University Computer Science professor is the first faculty member in YSU history to win the National Science Foundation’s highly competitive CAREER Award for Early Career Development. 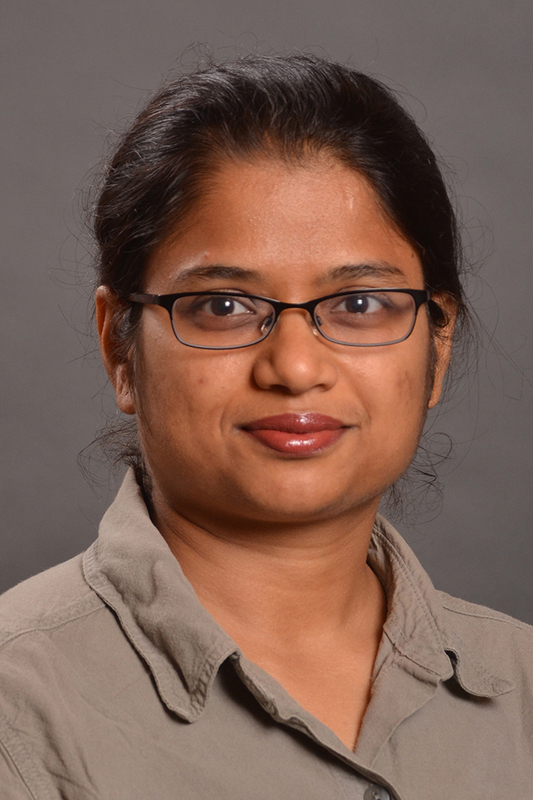 Bonita Sharif, an associate professor of Computer Science and Information Systems who joined YSU’s College of Science, Technology, Engineering and Mathematics in 2011, will receive a five-year, $416,000 federal research grant. The award is considered the NSF’s most prestigious honor for junior faculty nationwide. Sharif’s research is focused on the use of eye-tracking technology to understand software development that could help build better tools for developers. Grant dollars will purchase the latest in eye-tracking equipment, will pay students assisting with the project and will fund a K-12 school outreach program. Sharif believes the NSF liked her application because she provided plenty of research evidence to show that eye tracking can help improve the software development process. “We did a lot of groundwork to demonstrate that our ideas are feasible,” she said. Earlier this month, Sharif chaired a software visualization conference in Raleigh, N.C., where she also introduced and demonstrated a new eye tracking software tool she and her students designed and developed at the Software Engineering Research and Empirical Studies lab at YSU. The tool, called “iTrace,” maps eye movements to elements in software artifacts automatically and on the fly. She is also collaborating with other researchers from USA, Columbia, Poland, Canada and Germany working on similar research. She earned an undergraduate degree in Computer Science from Cyprus College on the island of Cyprus, where she also met her husband, a native of Bangladesh. Together, they came to Ohio to study at Kent State University (KSU), where she earned a master’s and PhD, also in Computer Science. She taught as a graduate assistant at KSU and spent a year as an adjunct faculty member at Ohio University before coming to YSU.